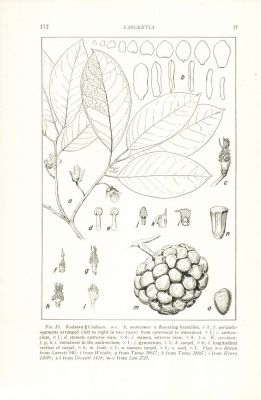 Kadsura chinensis Hance ex Benth. E. Asia - southern China, Myanmar, Thailand, Laos, Vietnam. ]. Requires a sheltered position in a moderately fertile well-drained neutral to acid soil200]. Seed - best sown as soon as it is ripe in a shady position in a nursery seedbed.. Prick out the seedlings into individual pots when they are large enough to handle and grow them on until they are large enough to plant out.